Non-GMO certified. Suitable for vegans. Suitable for vegetarians. Suitable for coeliacs. Kosher - KLBD.Also known for years as Double One. 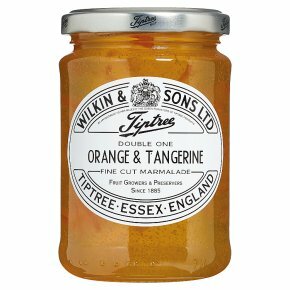 A speciality orange jelly marmalade with tangerines, containing thin chips of peel.